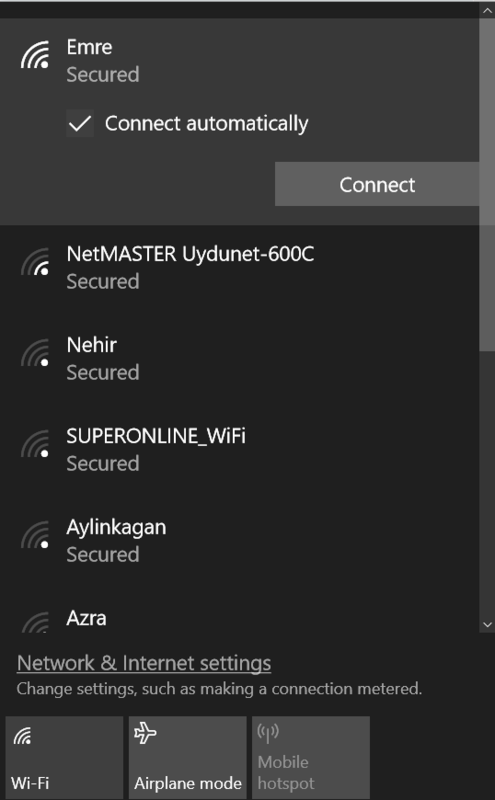 You can connect your Windows 10 to a WPS protected Wi-Fi router. Many Wi-Fi routers feature WPS, which stands for Wi-Fi Protected Setup. Wi-Fi Protected Setup (WPS) is a feature that lets you easily connect WPS supported client devices, such as wireless printers, to your router wirelessly. If the wireless router features WPS, you can use it to quickly connect your Windows 10 to the Wi-Fi Router. For this procedure to work, you need WPS enabled on the wireless router or the access point that broadcasts the WiFi signal in your area. The Wi-Fi Protected Setup configures one device at a time. The WPS button is located either on the front or back panel of your Wi-Fi device. Refer to your product documentation for the detailed features of your router. Vendors use one or both of two different WPS configuration methods: Personal Information Number (PIN) and Push Button Configuration (PBC). The WPS standard also allows devices to connect using a PIN code. One eight-digit PIN code is generated by the wireless router (or access point) and another by the client that wants to connect to the WiFi network. Unfortunately, Windows 10 does not generate a client PIN code that you can use for WPS connections. You can get the client PIN only if your wireless network card has a special application that generates it for you. The Push Button Configuration (PBC) method consists of pressing a button on the wireless router and then pressing a button on the wireless adapter or computer (that supports WPS) within a minute or so. Most wireless adapters don’t have physical buttons, but they may have a button on the client software if you’ve installed it. Similarly, wireless routers will have WPS settings available on the web-based control panel. Microsoft started introducing its implementation of WPS in Windows Vista under the Windows Connect Now feature. The use of WPS PINs were supported but required you to initially connect via Ethernet. Windows Vista SP2 then added support for Push Button Configuration (PBC). Open the list of available wireless networks, simplest way is to click the wireless icon in the notification area from the Taskbar. Here, you can select and connect to a network. Ensure Connect Automatically is ticked and then click Connect. You are asked to enter the password for the network that you want to connect to. Next, go to the wireless router or the access point. Press and hold the WPS button for a couple of seconds. 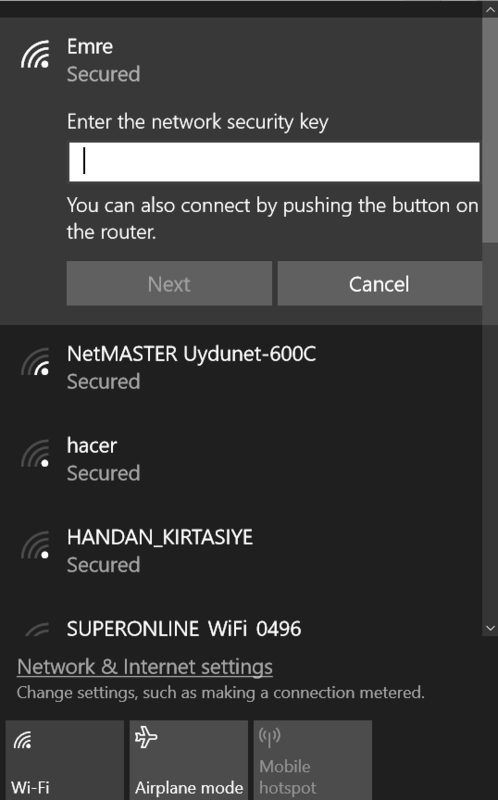 After a couple of seconds, you notice that Windows 10 automatically receives the wireless settings from the router (or access point) and connects to the WiFi network by itself, without you entering the password. That's it. Now you are connected to the wireless network using WPS.